Just to tell that I m using it very often and it really works very well! I would like to include some other waveshapes besides the default Pulse & saw. Which one would you guys consider ? Hello! I've not tried myself to add waveforms, but maybe you can find some great infos on Bill & Will's page, if you haven't seen it before.. 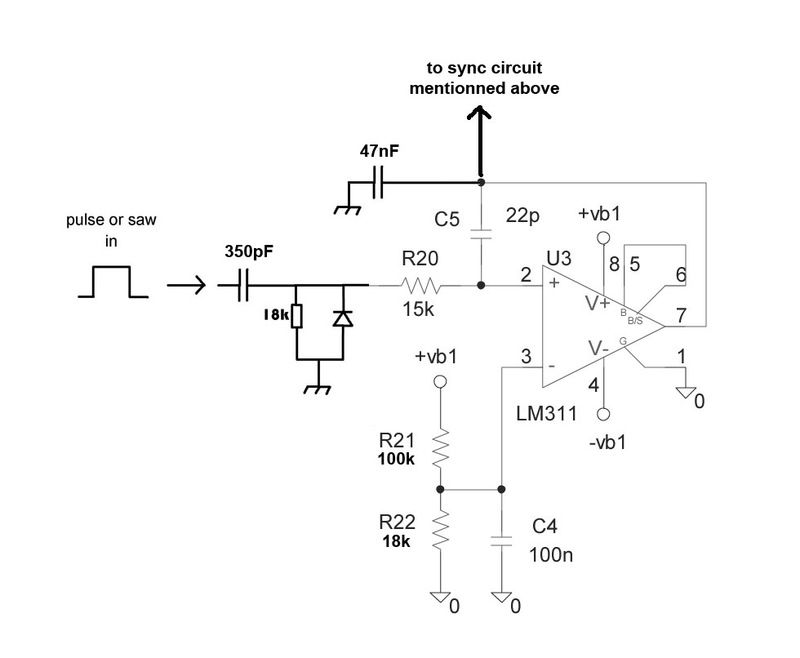 There is a schematic for adding triangle and sine outputs on page 12 of this thread and a stripboard layout for that on page 17. I added that circuit (thanks Peasant!) and it works really well, couldn't imagine the VCO's without the other waves! I am also about to finish the great sounding Living VCOs and I would like to add that Hard Sync feature. My knowledge level is limited, but I am trying to improve day by day. Any news about the availability of PCBs for this project? I'm very eager to build one. 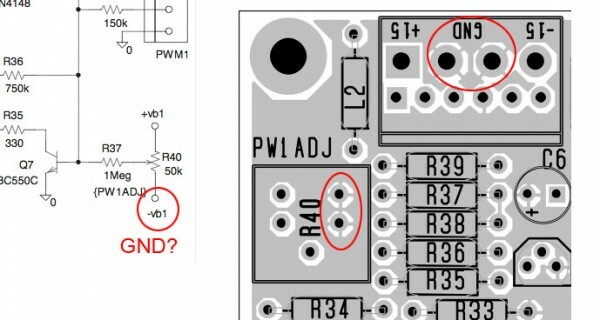 Nope, the existing PCB's can't be sold due to legal issues that are still unsolved. i bought a filled PCB of a living VCO a few days ago. I did the modifications to power it in +/-12V and it works like a charm and now i'd like to add the waveshapers but i'm a little confused about a few things. As i understand, the waveshapers have an amp stage for each waveform so i can plug the outputs jacks directly there and use the spare amps on the driver section to amplify the pulse out. Do i need to change some resistor values to adapt the waveshapers to 12V? Posted: Sat Aug 10, 2013 4:10 am Post subject: schematic error? Thanks a lot for clearing that up, think I've got it cracked now can't wait to try it out! Does anyone know if keeping the values of all resistors at 1% tolerance is critical in this circuit? Aside from the matched resistors of course. I built a 5U version of the Living VCOs circuit many years ago when JH first started selling the boards. I had never noticed this before but I am getting what I guess I'd call drift in the 3 oscillators. I remember this circuit being pretty stable, but now when I tune all 3 together with no detune on any of them, within seconds or a minute at most, they are each noticeably sharp or flat from each other. Not so out of tune that I couldn't play it, it's a nice an analog beating sound, but it's not what I'm tuning it for in this instance. Not looking for super stability but this is clearly not right. I built it to his spec and used tempcos with thermal paste. It was particularly hot today, but I've had my modular on for 2-3 days and it's been a pretty consistent temperature all day. Could it be the verniers? I've noticed when I tune it using a strobe tuner that it seems almost a tiny bit sluggish at times to catch up with where I've tuned to. For example, if I'm trying to slightly bump it sharp because it's showing to be somewhat flat, it looks to me as though it gets to be just about in tune but then jumps a bit sharp. However even if I leave those alone and try to fine tune with the detune knob on each, it still ends up drifting. This isn't a scaling issue - I'm doing this to a single droning note I'm just trying to get all 3 VCOs tuned to in unison and I'm watching and hearing them drift out of tune rather quickly. Any thoughts appreciated or suggestions much appreciated, thanks! 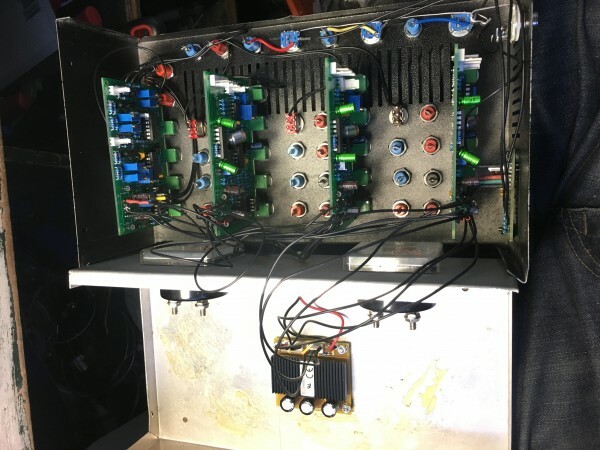 I'm in need of a little help with a Living VCO's build. I'm finding it very difficult to find any pictures of the bare PCB's as I forgot to match resistors. Also, I'm finding it impossible to find any calibration specifically for this set of PCB's. I know that some of the function will relate to the original calibration instructions but I'm wondering if anyone has built with these PCB's.